Make Your Special Day Memorable with Wedding Event Planning. Give yourself one less thing to worry about when you allow our skilled company to generate wedding entertainment ideas for your reception. 4 Events draws upon extensive experience in wedding event planning to organise celebrations that will live on in the memory of guests for a lifetime. A colossal roster of bands and musicians are at our company’s disposal. 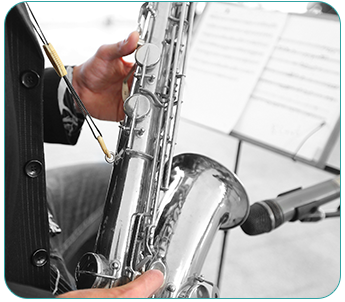 That means we’re able to provide you with whatever musical experience you are looking for. What’s more, we’re capable of supplying the staging, lighting, and marquees needed to complete the look of your entertainment. A wide selection of wedding games is available to keep guests amused. A fantastic way to get people connecting with each other, our games are also an ideal means of diverting children during important moments such as photography sessions. Games range from motor racing for gentlemen, giant games for children, and traditional games that all the family are free to enjoy. Uplighting and room theming available to enhance your room decoration. Colours can be set to match and complment the decoration. Supply your guests with unlimited amounts of freshly popped corn. Plenty of toppings ensure that even the most discerning snackers will be satisfied. The stunning carts we provide are accompanied by a courteous operator who will serve fresh cones of warm popcorn. In addition, our staff will dress to suit any theme or colour scheme. Contact us today, in Derby, Derbyshire, to take advantage of wedding event planning filled with excellent wedding entertainment ideas.